When it comes to the films of Tobe Hooper I’ve never really been a big fan and by no means is he a bad filmmaker, but I was just never into his films and that does include Poltergeist. However with that said the original Texas Chainsaw Massacre is a masterpiece of filmmaking and the most terrifying film I have ever seen. I also very much enjoyed Texas Chainsaw Massacre 2, but outside of those two films and to a lesser degree the Funhouse I’m just not a big fan of Hooper. Lifeforce, which was released in 1985 is no different from many of Hooper’s other films that I’ve seen. I knew of the film, but never saw it until the blu-ray/DVD combo pack was released by Shout Factory. 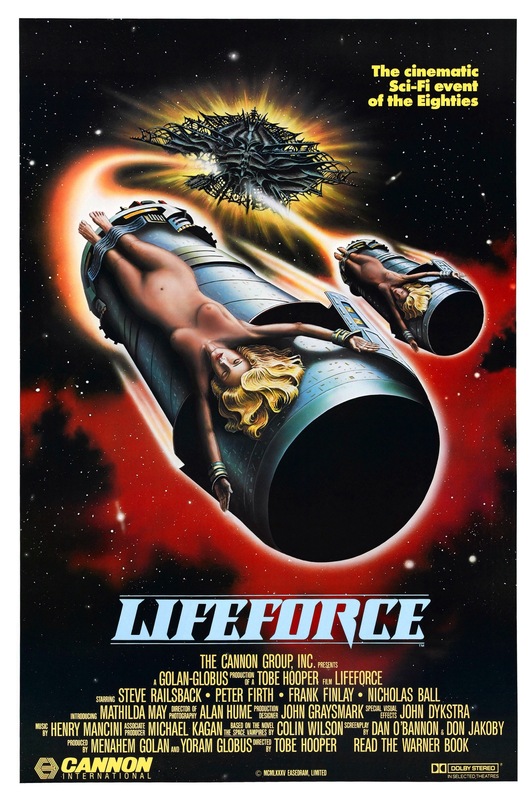 Lifeforce is a film I really wanted to like and as a fan of Cannon Films I hoped I would enjoy this much like how I did with Hooper’s two Chainsaw films and even the Funhouse (which I liked but didn’t love). But while Lifeforce had the potential, I was for the good portion kinda bored. I saw the 116-minute cut and one day I’ll have to give the 101-minute version a shot, but in the end Lifeforce was a film I really wanted to like, but often found myself zoning out. Going into Lifeforce I wasn’t expecting it to be on the level of Texas Chainsaw nor was I expecting a good film in the traditional sense. 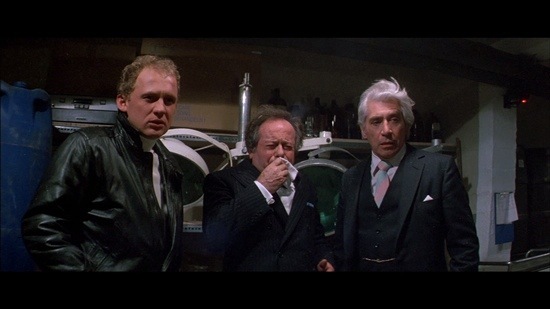 I went into Lifeforce expecting something along the lines of Ed Wood’s Plan 9 from Outer Space, which deals with aliens and zombies with a plot all over the place. 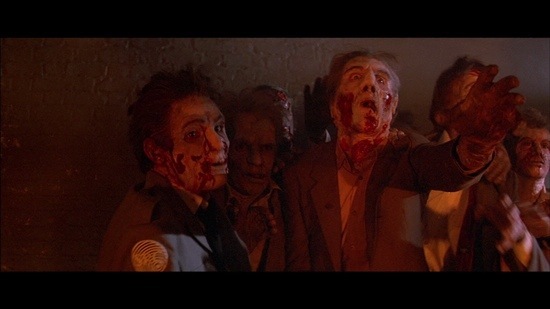 Lifeforce has alien vampires and the final act has people turning into zombies, but where Plan 9 from Outer Space succeeds in being a really entertaining film, Lifeforce was just a boring film. Over the years Lifeforce has gained a cult following and I easily understand why, but again I just found this film dull and lifeless and for me it was quite difficult to get through. The screenplay was written by Dan O’Bannon & Don Jakoby. O’Bannon wrote the story for Alien and wrote Total Recall, Invaders from Mars (with Jakoby and directed by Hooper) and of course he’s best known for being the writer/director on Return of the Living Dead. Jakoby has also done some solid work including writing John Carpenter’s Vampires, Death Wish 3 (under the name Michael Edmonds) and a story credit on Acrophobia. 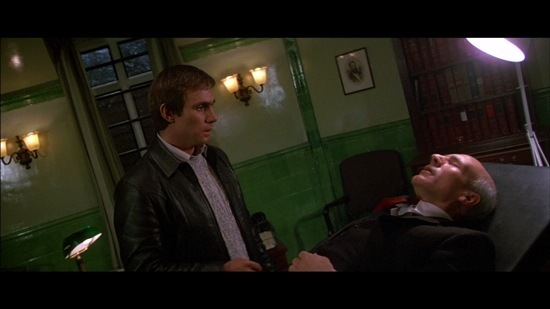 However here with Lifeforce I found the script by O’Bannon & Jakoby rather dull with rather boring characters. The plot is all over the place sort of like Plan 9, but its never as fun. 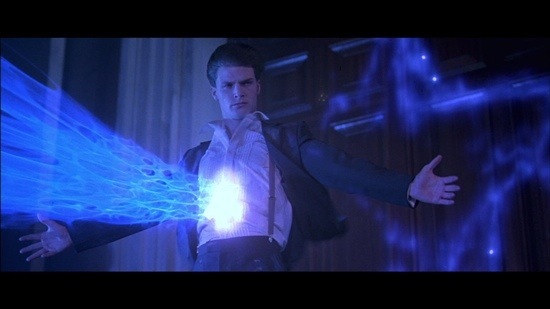 O’Bannon & Jakoby have done some solid work, but in my opinion Lifeforce isn’t one of them. Director Tobe Hooper delivers in my opinion a film that’s poorly paced and lacks excitement. Lifeforce had the potential to be a really fun film, but I was just sort of bored. 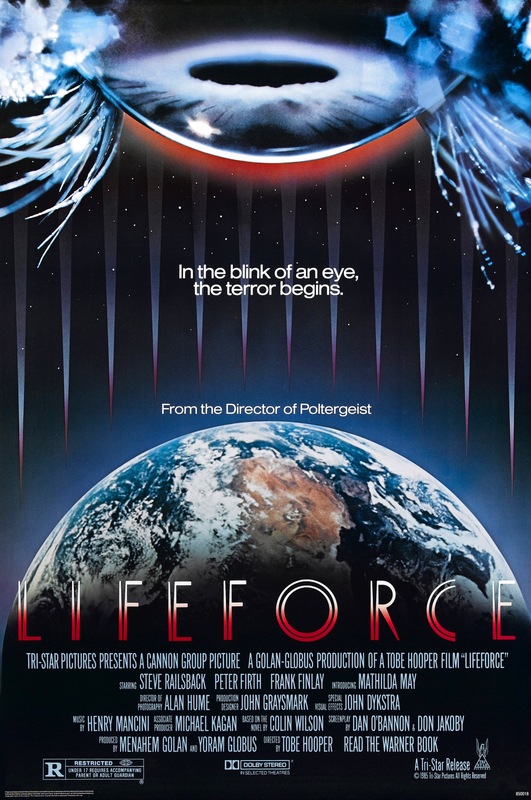 While not poorly made Lifeforce for me at least was rather dull and Tobe Hooper never manages to get very much out of any of the scenes and its just a poorly paced borefest. 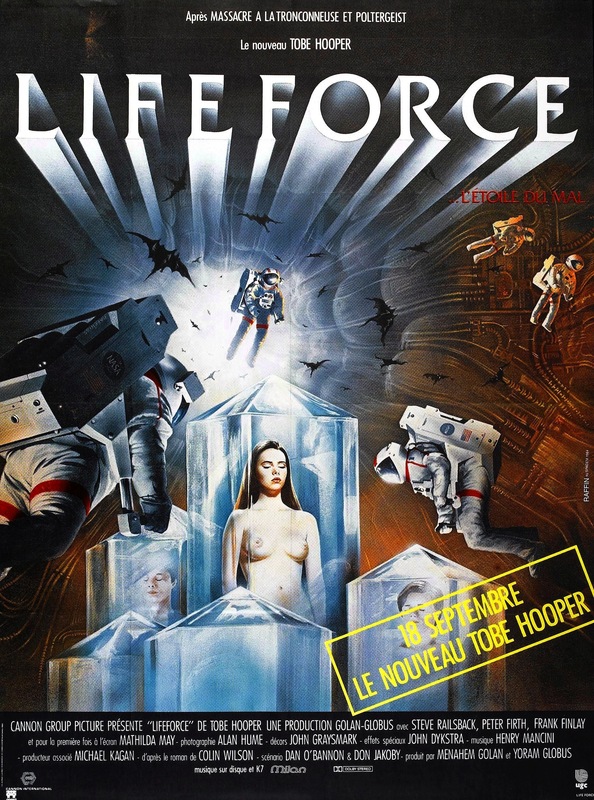 Overall I fully get the appeal of Lifeforce and I really wanted to like it but I found the fun level quite low and I was never really into the film. At 116-minutes Lifeforce was overly long and dull and who knows perhaps on another viewing I’ll warm up to it, but based on my first viewing Lifeforce did nothing for me. Again I get the appeal, but I just couldn’t get into this.